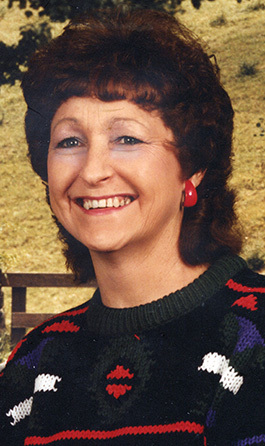 Memorial services are scheduled for 2 p.m. Friday, March 16, at First Baptist Church for Betty Lou Boyce of Artesia. Boyce, 73, beloved mother, was called to her eternal resting place Friday, March 9, 2018. Ty Houghtaling will officiate the services. Cremation has taken place under the direction of Terpening & Son Mortuary. Betty was born Oct. 15, 1944, in Callahan County, Texas, to Bud and Mel (Powers) Lindsey. On Sept. 2, 1961, she married Robert Dean Boyce in Loco Hills. Survivors include daughter Kim Boyce; son Robert W. Boyce and wife Michelle; grandchildren Dustin Boyce, Taren Boyce, Shelbi Boyce, Calynn Boyce, Skylar Boyce, Zach Boyce and Dezaray Boyce; and four great-grandchildren. She was preceded in death by her parents; brother Milton Lindsey; and husband Robert D. Boyce.